Pete Morse of the Indianapolis office recently convened subgroups of TerraLex firms to explore (a) law firm "best practices" when it comes to revenue generation and associate development and (b) hot topics and trends in labor law. For the latter session, Pete invited NLRB officials to their meeting in New York City to share their views on the most impactful and controversial decisions they've been involved with and also what's next on the docket. 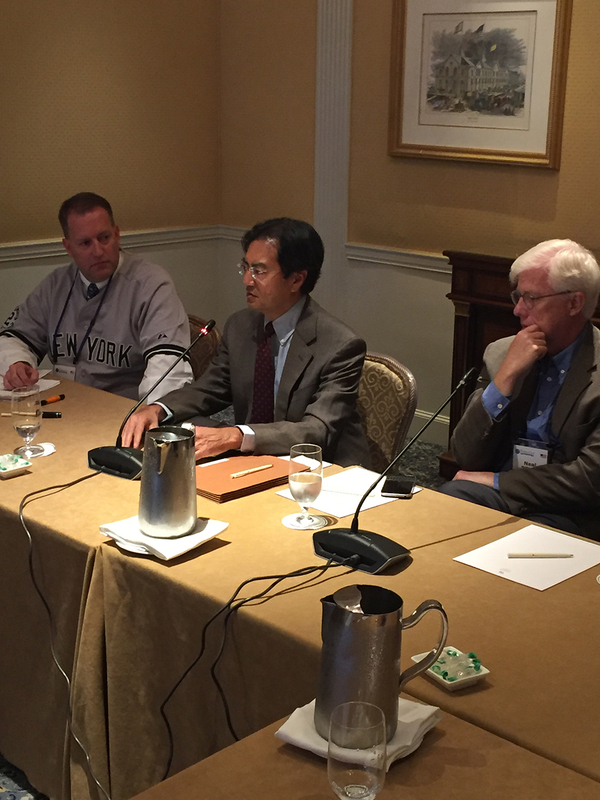 In this photo, member Ken Hirozawa (who recently came off the NLRB in Washington) is speaking, flanked by an NLRB attorney and Pete on the left (who reveals that his penchant to wear baseball jerseys at inappropriate times isn't limited to firm property).